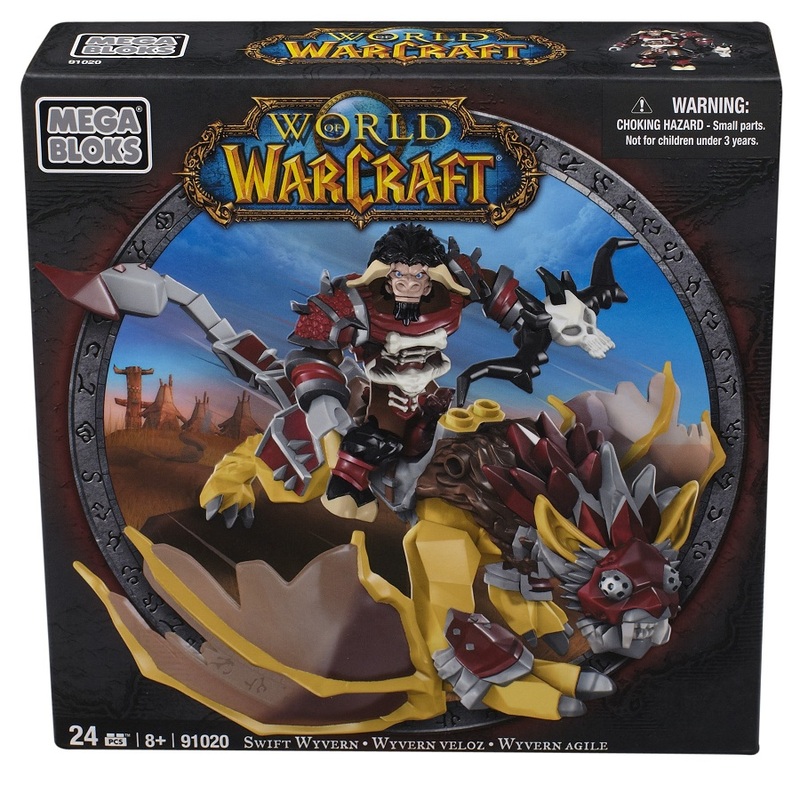 Product Detail Summary: WOW Mega Bloks Tauren Hunter with Swift Wyvern 91020 is 24 pieces and features the Horde Swift Wyvern, the masked lion-inspired mount. Scarbuck, the mighty Tauren Hunter rides his flying Swift Wyvern to victory! A bone chest-plate and war-box weapon are featured interchangeable gear! Ideal for ages 8 and up.